Ethnomusicologist Dr. Dan Neely on The Jolly Boys; the (Non) Link Between Mento and Ska; Little Bop's "Oh Carolina" Drum--and the Return of Skavoovie! Ex-Skavoovie & the Epitones guitarist turned ethnomusicologist Dr. Dan Neely was kind enough to answer The Duff Guide to Ska's numerous questions about mento and how it relates to ska; his involvement in recording the new Jolly Boys album; Skavoovie's impending reunion; and finding a permanent home for a drum that was used on the first ska record ever! The Duff Guide to Ska: What should the average ska fan know about The Jolly Boys? 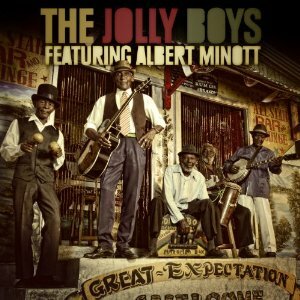 Dan Neely: They should know that The Jolly Boys is one of Jamaica's longest-lived and most important mento bands, and that they have a new album coming out called Great Expectation, which will help re-establish mento music's popularity not only in Jamaica, but on the international stage as well. DGTS: It seems like The Jolly Boys are to mento what The Skatalites are to ska (seminal groups in the development of their genre of music who have enjoyed a resurgence in popularity very late in life). Is this an apt analogy? DN: Well, it's not a bad analogy. 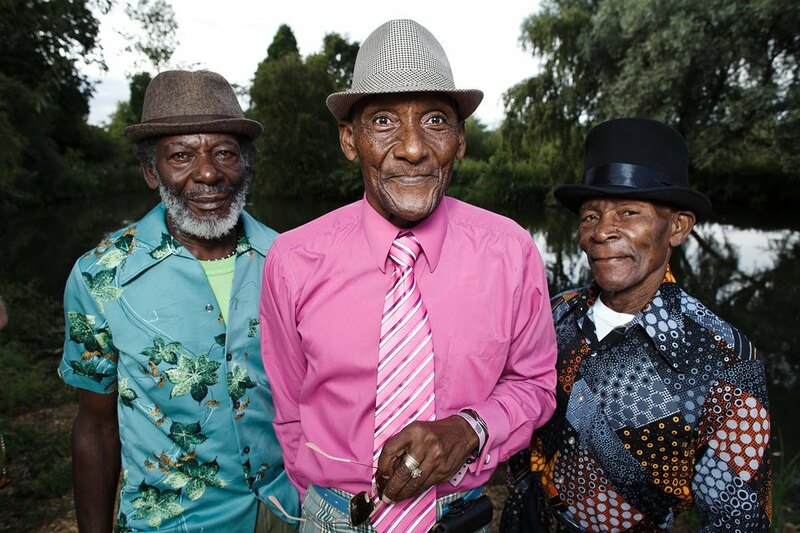 I tend to be very careful comparing mento to ska (see next question), but, like The Skatalites before them, The Jolly Boys are really set up for a very special time in their history. DGTS: Why is mento relevant to the creation of Jamaican ska—and what is the difference between mento and calypso? DN: In a way they're linked, but not in the way you might think. You usually read about how mento "influenced" ska and how they're similar musically, but once you get a sense of what mento actually sounds like and how the mento and jazz scenes articulated, you begin to realize that that claim is just misleading. Ska was something of a revolution at the time, a musical reaction against colonialism and in a way a reaction against "calypso," a term used to market mento after WWII (it was erroneously applied to other Anglophone musics around the Caribbean around WWII as well, to better sell "island music" to tourists). The two really aren't that musically related. The thing is, the guys who were ska musicians tended to come from a jazz background (Tommy [McCook], Roland [Alphonso], Don Drummond...the list goes on, and on, and on) and generally distanced themselves from mento musicians, who would not be confused with jazz musicians, generally speaking. (There are a few exceptions, but they help prove the rule.) Don't get me wrong, jazz groups certainly played mento songs sometimes (you had to in the 1950s if you wanted to get gigs), jazz musicians did mento session spots (Roland Alphonso comes to mind) and, beginning in 1963, ska bands even began recording mento songs (and vice versa-–there was an Independence season fashion for it that year that carried over). But, there's a big difference between the jazz musicians who went and created ska and the mento musicians who typically had little part in it (this musical difference was, in fact, once codified by the Jamaica Federation of Musicians at one point), and this difference is kind of glossed over when folks argue that mento directly influenced ska. Mento had much more to do with reggae, in my humble opinion, than it ever did with ska. DGTS: Where should someone completely unfamiliar with mento start--which albums should they pick up for their intro to mento? DN: Well, were I first getting into mento these days I might start with The Jolly Boys' new album because it's really forward-looking, different, and what's happening now in mento music. Then, I'd work backward. 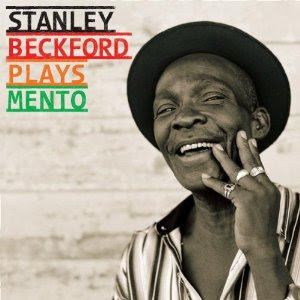 Stanley Beckford made a couple of records with the Blue Glaze Mento Band (Stanley Plays Mento and Reggaemento) in the early 2000s that are fabulous (I prefer Stanley Plays because it has most of Stanley's hits). Then, there are the records Delroy Thompson recorded at One Love Studios in Tivoli Garden around the same time. The JCDC's four-band Mento Music in Jamaica (Vol. 1) is great and I am very partial to Blue Glaze's Authentic Mento album as well–-I think Thompson did a particularly good job of capturing mento's livity the way I experienced it out in country in Jamaica in these recordings. Although these CDs are real easy to get in Jamaica (look in the airports! ), they seem to be difficult to find in the US. There are a couple of other really great and underrated/overlooked older albums that are now easy to find. Lord Foodoos did an album for Elektra in the 50s that got reissued a few times and there's some fine music on it (look on eBay). Also, Cook Records recorded a group led by Lord Myrie that features a banjoist named Cecil Mitchell, who is an astonishingly good player. This album [Calypso Jamaica] is available through Smithsonian/Folkways. Then, I'd say go with the older 78rpm reissues. Boogu Yagga Gal has some wonderful stuff on it. Take Me To Jamaica [available from Pressure Sounds!] is great. The compilation of Caribou Records material called Soundman Shots is great (unfortunately, the liner notes are really unreliable). Mento Madness is pretty good too. If you find you like the Chin's material (as a whole, it's my favorite), Ivan Chin's reissued pretty much everything he did and it's all available through CD Baby. Another album that used to be hard to find and is pretty generally overlooked is Lord Flea's Swinging Calypsos. A few really big tunes like "Calypso Be Bop" are on this album and it should be easy to get because it was reissued on the Harry Belafonte: Early Years at Capitol Records CD. If you have readers who want to go beyond commercial recordings and are willing to really, really dig, there's a recent two CD set called Ettu, Mento, Revival, Kumina: Recordings from the Jamaica Folk Music Collection (Pamap 701-701). It's an amazing selection of field recordings made by Olive Lewin and Marjorie Whylie, taken from the collection of field recordings at Kingston's Edna Manley School for the Visual and Performing Arts. It was produced in collaboration with the African Music Archive at the Department of Anthropology and African Studies, Johannes Gutenberg University Mainz, Germany and although nearly impossible to find, it's pretty much mind-blowing. It presents facets of Jamaican music most never hear, and it's very likely stuff that your favorite artists would have been aware of before s/he made your favorite record! Just fantastic stuff. DGTS: Jon Baker, the ex-head of Island Jamaica, who now co-owns the exclusive luxury hotel/recording studio Geejam and works with such superstars as the Gorillaz, No Doubt, Amy Winehouse, Santigold and Major Lazer, etc., is the driving force behind the new Jolly Boys record. How did this collaboration then come about? What drew him to these older, somewhat forgotten mento musicians? DN: I think what happened was that Jon was over visiting friends at a neighboring hotel in Porty, saw The Jolly Boys and was so taken (and rightly so) by their performance–-particularly Albert Minott's as the frontman–-that he wanted them for his hotel, so he hired them away. Jon's a guy who is very taken by Jamaican traditional music and has recorded different kinds of groups in his studio for non-commercial use (just for his own pleasure). I think his original intention was to ask the JBs to do some old mentos for his archives. However, he noticed a similarity between the subject matter of the mentos the JBs were singing and the punk rock songs he grew up with (Jon was a punk in the 1970s, by the way) and thought it an intriguing idea to ask if Albert might like to try a song like "Rehab." Albert liked the song and the idea and worked with The Jolly Boys and Dale Virgo (Geejam's in-house engineer) on a demo. Everyone thought it worked so well that they all sat down and drew out a plan for moving forward with this project. DGTS: How did you become involved with the recording the new Jolly Boys album “Great Expectation”? DN: After they'd come up with the plan for this project, they realized that a couple of The Jolly Boys would have a hard time participating. The most challenged of them was Egbert Watson, the group's banjoist. Although still a wonderful player, he has physical and cognitive issues due to old age that make it impossible, really, for him to learn new material (and given his health issues, it would have been unfair to ask). But mento really needs the banjo, so Jon turned to Herbie Miller, a mutual friend who is the Director of Jamaica Music at the Institute of Jamaica in Kingston and asked his advice. Herbie's an authority on Jamaican jazz and long involved in the music industry (which is how he knows Jon, I think). He and I are close friends, he knows my work well and suggested Jon contact me. So, Jon called up, we talked about what his vision for the project was and he asked me about playing banjo and being the project's music director. A week later I was in the studio figuring it all out! DGTS: How did you (or Jon Baker) come to decide which new wave, punk, and alternative songs to cover (and why go that route)? DN: Jon was the one who came up with the repertory. I think he just chose songs that he liked that seemed to fit the concept. DGTS: The late movie star Errol Flynn played a hand in The Jolly Boys’ story—his widow Patrice even appears in the video for the cover of Amy Winehouse’s “Rehab”—can you describe his involvement? DN: Errol Flynn was the one who gave the band the name The Jolly Boys. Before that, the group (well, an earlier iteration of the group) was known as the Navy Island Swamp Boys. He liked their Jolly vibe and just branded them. Patrice is a resident of Portland parish and runs a farm. She is extremely elegant and at this point a true Jamaican. DGTS: There have been rumors of a Skavoovie (and the Epitones) reunion or re-launch of the band. Is this going to happen and are you going to be involved? DN: The group has been rehearsing new material. Unfortunately, I haven't been able to make any of these rehearsals–mostly these have been taking place in Boston and have happened when I've been in the Caribbean. However, the material I've heard so far is really exciting! It's new-sounding stuff that has that familiar Skavoovie vibe. DGTS: You have a Ph.D. in ethnomusicology and specialize in Caribbean music, particularly mento and reggae. What is it about the people, music, and culture from the region that compelled you to make a career out of researching and documenting it? DN: Well, I think it was the music that really drew me to Jamaica...it's just great stuff. I'd loved ska for quite some time, but really didn't know very much about its history besides what I'd read, mostly. I was really interested in ska right when I started grad school. But then I started looking at mento because everything I'd been reading said, "oh yeah, mento is crucial Jamaican music." The problem was that no one was saying anything of substance about it. Really, it was the same two pages of "history" over and over again. So, I began doing my own research. I tried to find some music, but at the time the only music that was easily available were Jolly Boys records. After a while I was able to get copies of Richard Noblett's excellent mento cassettes and then eBay was just starting up–-I found a bunch of really great things (and important) there. 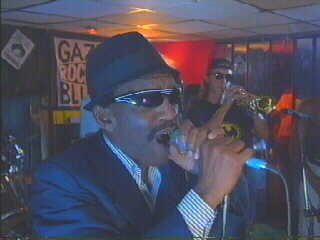 Then, I met Herbie Miller and he began sharing his material with me (and I with him). Then, in 2000, I went to Jamaica and got my first real sense of the people and the culture. I realized that many of my preconceptions about Jamaica bore little relation to what it was actually like there. When I'd tell people there I was studying mento, they'd take an immediate interest and would open up in ways I never expected. People would feed me, new friends would look out for me, strangers would go out of their way to help me–-it was great. Every time I go, it's just fantastic. It's one of the world's great places. DGTS: What is the best book you’ve come across about the history of ska and reggae? DN: It's hard to say what the "best" book is, but I think very highly of Michael Veal's "Dub: Soundscapes and Shattered Songs in Jamaican Reggae." I think Norman Stolzoff's "Wake the Town and Tell the People" is also an important book. On the more journalistic side of things, I think John Masouri's "Wailing Blues: The Story of Bob Marley's 'Wailers'" (the one written in collaboration with Family Man) is great. Someday Ken Bilby (one of my teachers) will publish his research, and when he does I think it'll change the game completely (his book "True Born Maroon" is astonishing work–-if you have readers who are interested in Jamaican Maroons, it's something they should absolutely read). There's just been so much out there...and a lot of it didn't get any real attention. For example, Garth White wrote a couple of great early articles. These days they may seem kind of general and not all that groundbreaking, but at the time he wrote them he was saying things no one else writing about reggae was saying. DGTS: Jamaica, in particular, has produced an extraordinarily large number of gifted musicians—and their output of recordings from just the 60s and 70s alone is almost mind-boggling. What do you think is it about this small and impoverished nation that has led to such wonderful musical creativity? DN: I think the thing to remember is how diverse Jamaica's music culture is. Most ska and reggae fans don't realize this...don't realize, for example, how many different styles of drumming there are. Burru is not the same as nyabinghi and kumina, and Maroon drumming styles are totally different still. But there are drummers who are well versed in all of them. Further, there are several different kinds of churchical music styles–-each denomination does what they do differently, musically and from an ecumenical standpoint. If you grew up around different kinds of churches, you'd have some sense of what each did different from the other-–you may also get a chance to see how the different denominations got together at nine nights or whatever. Then, there are idiosyncratic traditional musics that are intensely regional that people grow up with. Then, there are the cosmopolitan styles that you come across on record and on the radio. A wide range of musicking options definitely helps musicians to develop. Sometimes musical training was passed on orally, from musician to musician outside of academic contexts–-many of these musicians who learned this way turned out great. But I've also been very impressed with some of the primary musical education I've come across. There are a lot of very intelligent young musicians who come through primary schooling I think quite well-prepared to be professional musicians–-you saw this with Alpha, but I imagine you would have seen this out in the country parishes as well, just not as well publicized. Put all this together, and in a way it's a wonder Jamaica's not more creative! DGTS: Over the years, you’ve interviewed a number of Jamaican musicians for your papers, articles, and books. Is there anyone that you’ve wanted to talk with, but the stars haven’t quite aligned to make it happen? DN: Well, there's a bunch of musicians who died way before I came on the scene who I would have loved to have talked with. Everald Williams–-arguably, Jamaica's greatest songwriter–-would be the one I'd love to have spoken to the most (heck, I'd even love to talk to a family member, but I can't find any!). Count Lasher and Lord Fly would be a couple of others. Moses Deans died just before I got to Jamaica. Moses Booth the sax player another who would have been important to talk to. Sugar Belly's still another. As for people who are still alive, I haven't met Toots in person, but I'd love to. I'd love to chat with Family Man. I'd love to sit down with Robbie Shakespeare (I've spoken with him on the phone, but it'd be nice to chat more substantially). Although I spoke with him once, I'd love to sit down with Edward Seaga again. DGTS: You made a trip to the Caribbean last winter to purchase instruments on behalf of the Musical Instrument Museum in Arizona. What types of instruments were you looking for and what kind of criteria did they have to meet in order to become part of the museum’s collection? What was the “find” of your trip? DN: Oh yeah, that was great! They sent me to Jamaica, Barbados, Grenada, Carriacou, and Antigua to curate instruments for their collections. My intention was to buy instruments from contemporary builders, but I wound up with some older pieces as well. For example, I got a wonderful gumbe from George Huggins, the drummaker in Accompong, a pair of stunning kumina drums from a maker named Lebert Gordon from St. Thomas parish now based in MoBay. I also tried to find a set of burru drums, but I had no luck–-since they're community drums with spiritual overtones, people don't really have those lying around and I wasn't willing to "take" a set from a community if it was their only one. (Trying to find them, is a long and kind of funny story though!) However, one of the major "finds" was a funde that belonged to Little Bop. Little Bop is a drummer with the Mystic Revelation of Rastafari who was with Count Ossie since the 1950s. Ossie's son Time was helping me find a set of nyabinghi drums and out of nowhere Bop offered his drum and told me it was the one he used on "Oh Carolina." I was totally surprised, but he'd had a new, taller drum built so he wouldn't have to lean so far down to play and didn't need the old drum anymore. He reasoned that his drum wouldn't be taken care of if it didn't go into a museum, so the time to part with it was then. Another major find was an instrument built by Everald Brown–-I just happened upon it out of nowhere. Brother Brown was an important artist and was known for building Star of David-shaped guitars (there's one in the Bob Marley Museum at 56 Hope Road that they say came from Africa, but it didn't–-it's a Brother Brown guitar), but the instrument I found was this enormous multi-instrument piece. They have a matching instrument at Jamaica's National Gallery. It's a majestic piece. 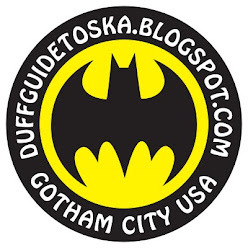 DGTS: For a time you worked for the ARChive of Comtemporary Music, collecting music created by bands in New York state. Were the ska bands of our fair city well-represented? DN: Not really sure, actually, I haven't been there for a while! I think I remember seeing some of the Moon stuff there, though. DGTS: Lastly, why do like ice cream truck music so much (does it involved some Pavlovian response from your youth)? DN: My ice cream truck music research started out as a joke, actually! Once I got my Master's I decided I wanted to take something seriously that most people don't. Ice cream truck music seemed like an interesting and unique subject in sound studies (which at the time was an emergent field in ethnomusicology) so I pursued it–and to my surprise, it got a bunch of attention! "...include audiovisual material, stage clothes, photographs, posters and press cuttings, [that] celebrates the life and work of Laurel Aitken, a pioneer of Ska music and one of the first people to popularise Jamaican music in the UK." This is particularly significant, as Leicester was Laurel's adopted home for 35 years. Update: The Jamaica Information Service has issued a press release regarding the "Ska with Laurel" exhibition. Preview of New Green Room Rockers Album! 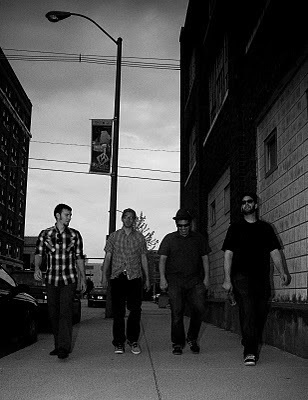 Indiana's finest, the ska/soul/reggae rave-up Green Room Rockers, have just unleashed a music video for the terrific first single off their second album, "You and I." Their self-titled sophomore release (which keyboardist/singer Mark Cooper claims "is the record we've wanted to make since 2007, when the band formed") is coming out this fall on Jump Up Records, and was produced by Dave Hillyard (Donkey Show, Slackers) and mastered by Mass Giorgini (bass player for Squirtgun, Common Rider, and Screeching Weasel, who also produced several Alkaline Trio records). The Green Room Rockers will be going on a two-week tour with The Slackers this fall in support of the new record. (Will there be a NYC gig?) Based on this preview, it looks like this album is going to be a "must get." Stay tuned for info on the tour and the album's release. Strange ska train to Margaritaville factoid: the "You and I" video was produced and edited by the videographer for Jimmy Buffet! Ska Nation Twenty 10--The Australian International Ska Fest! While we are on the subject of international ska festivals, we should note the upcoming Ska Nation Twenty 10 festival in and around Melbourne, Australia from October 30th through November 1st (thanks to Francis from The Resignators for bringing this to our attention!). Of note, several North American ska acts are featured here: Chris Murray (Canada/USA), Dan Potthast (USA, ex-MU330), and The Real Deal (Canada). Looks like it should be a blast! 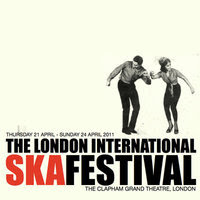 The 2011 London International Ska Fest! If you're not in the London area, start saving your travel pennies for (or whatever the equivalent is in your local currency) now! MOJO: Scratch, Spear, and Godfather of Ska! Plus the Return of The Jolly Boys! Much respect, as always, to MOJO Magazine in the UK for their ongoing coverage of (some) things ska and reggae. While there still may be a lot taking place under their radar, what they are writing about (reunited 2 Tone-era bands; ska and reggae reissues; Lee "Scratch" Perry; Island Records; and, of course, Marley) is done well, and it deserves repeated mention since they are pretty much the only mainstream music publication that is doing so on a regular basis. Case in point, see the September 2010 issue (with Robert Plant on the cover). There is news about a fire at Ghana's Studio 1 (a state-of-the-art recording complex built by Rita Marley for use by Marley family and friends) which destroyed an "unknown quantity of original Bob Marley and The Wailers master tapes" that were housed there. This issue also includes reviews of: Lee "Scratch" Perry's new album (Revelation) and an AMAZING collection of rare dub tracks (Sound System Scratch) from the always superb Pressure Sounds label; a 35th anniversary re-mastering/restoring of Burning Spear's essential and stunning Marcus Garvey/Garvey's Ghost albums (ex-Toasters frontman Jack Ruby, Jr.'s dad produced these, yo! ); and yet another reissue of Desmond Dekker's hits (King of Ska). For ages, I've been meaning to do some sort of review/overview of Pressure Drop's excellent reissues of Laurel Aitken's incredibly deep and rich back-catalogue of singles. The task is daunting, to say the least. However, MOJO has published an insightful piece on two collections of his singles from the late 50s (Boogie in My Bones, which is more on the mento, R&B, and rock 'n' roll tip) and early 60s (You Got Me Rockin', that has his pre-ska and early ska hits). Here's where I have to admit that I'm much more of a (mega) fan of Laurel's skinhead reggae output. 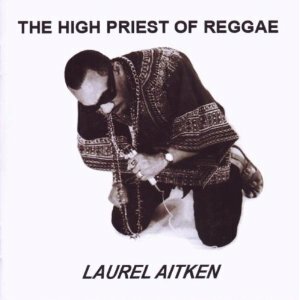 If you are too, make sure to pick up Laurel Aitken Says Fire, The High Priest of Reggae, Scandal in a Brixton Market, and The Fantastic Laurel Aitken (I bought most of these through Amazon or their third-party sellers). There is some overlap between these albums (which are, in themselves, collections of this singles that were originally packaged as such--could it be that his first album recorded as such was Ringo the Gringo for Unicorn Records in 1989?). It should be noted that a fair portion of these songs have appeared on the Unicorn reissues Rise and Fall and It's Too Late in the late 80s/early 90s--but there are loads of rare tracks on each new reissue that I've never heard! Apologies to ex-Skavoovie & the Epitones guitarist and ethnomusicologist Dr. Dan Neely for not noting this earlier. Last month, MOJO ran a piece (which I had, but can't find in my apartment at the moment) on one of the seminal mento bands, The Jolly Boys. They are releasing a new album this September, Great Expectation (on Geejam Recordings), that is comprised of rock, punk, and alternative tunes (Iggy Pop's "The Passenger," Blondie's "Hanging on the Telephone," Grace Jones' "Nightclubbing," Amy Winehouse's "Rehab," New Order's "Blue Monday," The Rolling Stones' "You Can't Always Get What You Want," The Clash's/Bobby Fuller's/Sonny Curtis' "I Fought the Law," and more) done in a mento style. Dan served as the music director for this project and played tenor banjo on all the tracks (read more about the project on Dan's blog and there is a great article about it in The Telegraph). Unfortunately, he will not be able to tour with the Boys in support of the album due to some (happy) family commitments. Long live The Jolly Boys! Thanks to Megg from Across the Aisle for passing along the link to this cheesy, but still pretty hilarious ska parody video titled "Too Much Brass" from the College Humor site. The shofar and vuvuzelas at the end are a nice touch! 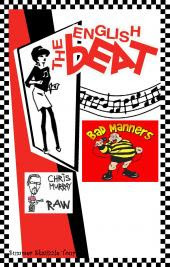 NYC Gig Reminder: The English Beat, Bad Manners, and Chris Murray This Saturday Nite! Plus the Battle of The Beats! If you're not fleeing the city this weekend--it is one of the last few weekends of the summer, after all, and we New Yorkers need to get away once every now and then to keep our freakin' sanity!--you might want to catch Dave Wakeling's US version of The Beat, Bad Manners, and Chris Murray at Webster Hall. The gig takes place this Saturday night, August 21, beginning at 6:00 pm (you read that correctly). Tix are $30. In related Beat news, the UK version of the band, led by Ranking Roger (and featuring original Beat drummer Everett Morton and General Public/Dexy's Midnight Runners keyboardist Mickey Billingham), will be celebrating the 30th anniversary of the release of I Just Can't Stop It by performing the entire album live. According to AltSounds.com, this event will take place at London's Bloomsbury Ballroom on Saturday October 9th, 2010. 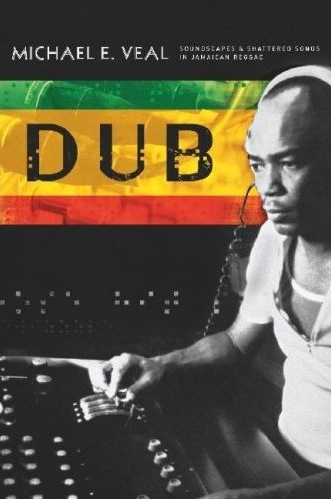 Also, The Beat's MySpace page states that they have recorded an album of new material that is being mixed by boss dub producer Adrian Sherwood. I have to admit to being intrigued by this development (and for the past year or so, Dave has mentioned in various interviews that he is recording or has recorded his own new Beat material, too--maybe we'll have two new Beat releases at some point in the near future?). The outstanding Buenos Aires-based "early reggae" practitioners The Crabs Corporation join forces with the prodigious King Hammond--a perfect pairing of musical talents and vision, really--for a trippy, skinhead reggae reading of Herbie Hancock's "Bring Down the Birds" (this is a brilliant choice of a cover--it's from Hancock's soundtrack to Michelangelo Antonioni's classic mod 1966 film "Blow-Up"). KH produces and boasts, while The Crabs Corporation bring the amazing noise. Let's hope this augurs more collaborative projects from them in the future (my one minor beef with this release is that there is no second cut, both sides are the same, and I want more!). Definitely worth tracking down (Jump Up Records carries it in the US)--and a must for all King Hammond completists! 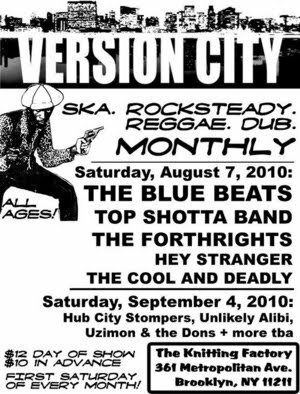 NYC Gig Reminder: The Bluebeats, Top Shotta Band, The Forthrights, Hey Stranger, and The Cool and Deadly This Saturday Nite! I'm vacationing with the family in Cape Cod and then the Catskills this week and next, so I'm a little bummed that I'm missing this awesome Version City party line-up. (Then again, I'm spending these days swimming and chilling in the ocean and freshwater ponds...) If you are in the city, you should really do what you can to make it to The Knit.